World Youth Day is the largest congregation of Catholic youth in the world, representing the union of old, storied traditions with modern, joyful youth. SDSN Youth had the honor of sending a delegation to this year’s World Youth Day festivities in Panama City, Panama, and led a workshop on renewable energy and Laudato Si’. The delegation was co-lead by Nicolas Serrano and Sienna Nordquist, the Network Coordinator for the Andes region and a Project Officer with SDSN Youth’s Networks Team. Joining Sienna and Nico were three SDG Coordinators from the SDG Students Program and two additional student volunteers from Yachay Tech University. SDSN Youth’s delegation at the Latin American Parliament. From left to right: Daniela Guevara (SDG Coordinator, Escuela Politécnica Nacional), Selena Jimenez (Yachay Tech University), Sienna Nordquist (Project Officer, Networks Team), David Carchipulla (SDG Coordinator, Escuela Politécnica Nacional), Martin Velez (Yachay Tech University), Nicolás Serrano (Network Coordinator, Andes), and Maria Jose De La Torre (SDG Coordinator, Yachay Tech University). Leading up to the official launch of World Youth Day events, SDSN Youth’s team traveled around Panama City, finalizing the logistical details of the workshop. Panama City’s surrounding natural beauty and warm summer days made attending World Youth Day a fun and exciting experience, especially since many of the team members had never visited Panama before. 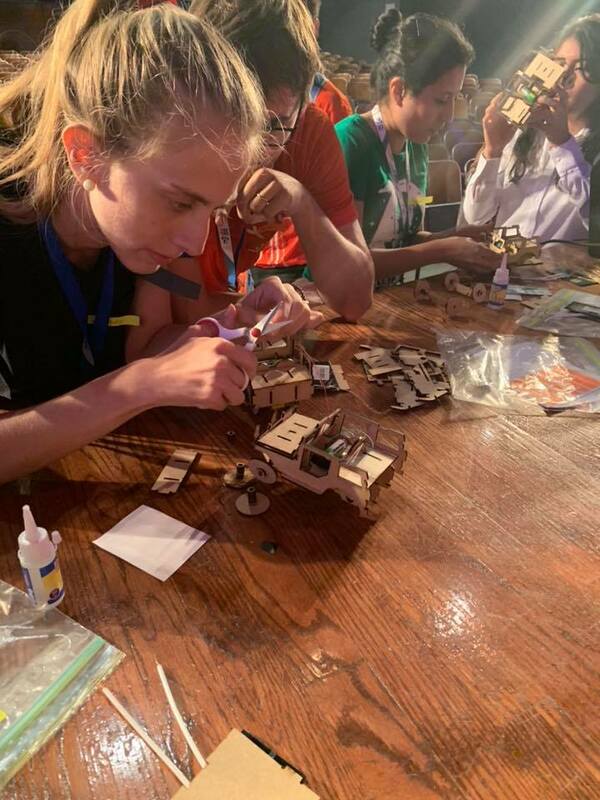 But, a temporary and somewhat ironic electricity blackout forced the team members to build the mini-renewable energy cars in the heat; an experience that would usually bring frustration, yet the team took it in stride and had a fun afternoon of work all the same! Despite the heat, SDSN Youth puts together model mini-renewable energy cars for their workshop. On Monday, January 21st, the team had the privilege of attending a session at the Latin American Parliament on “Laudato Si’, Three Years Later.” The conference session was hosted by the Pontifical Academy of Sciences, the Foreign Ministry of Panama, and the Consular Academy Ernesto Castillero Pimentel. Featuring a speech by Panamanian President Juan Carlos Varela on topics of development, human trafficking, and climate change, the venue and partnering institutions demonstrated that globalized issues, such as those the SDGs try to address, require a forging of new collaborations and joint missions. The team poses outside the Latin American Parliament in Panama City, Panama. The conference also featured a presentation on Laudato Si’ by Cardinal Oscar Andres Rodriguez Maradiaga, a discussion on modern slavery led by Monsignor Sanchez Sorondo, and not one, but two speeches by Dr. Jeffrey Sachs on the enormous ramifications of climate change and the importance of the SDGs for the current youth generation. During a Q&A session after Dr. Sachs’ last speech, David and Nico had the opportunity to address the plenary about renewable energy sources and demonstrated the team’s mini-renewable energy car for the audience. At the final conclusion of the session, Nico and Martin were also interviewed by a TV station and had the chance to explain the mission of SDSN Youth’s presence at World Youth Day, particularly as it related to our workshop. The Vice President of Panama, Isabel de Saint Malo, closes the session for the day with Monsignor Sanchez Sorondo, Cardinal Rodriguez Maradiaga, and Dr. Jeffrey Sachs looking on. All in all, the team had a remarkable and eye-opening experience at the Latin American Parliament. Finally, on January 23rd, the delegation hosted the official workshop at Teatro Ascanio Arsomena. The workshop brought together participants from Argentina, Chile, Mexico, Panama, and Germany, who seemed to enjoy building their own mini-renewable energy car while negotiating with other teams for resources and materials. This exercise simulated the negotiation process between and within countries for resources, and demonstrated the challenges and opportunities that come with renewable energy sources. Workshop participants negotiate with each other for materials. Workshop participants build their mini-cars while learning about renewable energy. After the winning teams of the competition had been determined (shout out to teams Corellia, Atlantis, Chocolandia, Cocopolis, and Neverland for being in the top five! ), the workshop transitioned into a conversation on Laudato Si’. Laudato Si’ is Pope Francis’ 2015 encyclical on “care for our common home,” which details the current environmental challenges the world faces, explains the nexus between the Catholic faith, moral duty, and environmental activism, and presents a call to action for unified, global solutions. Participants discussed how the message of Laudato Si’ related to their home communities, their personal perspective on how faith and science are connected in addressing climate problems, and their ideas for partnerships and solutions which could be aligned with Pope Francis’ message. 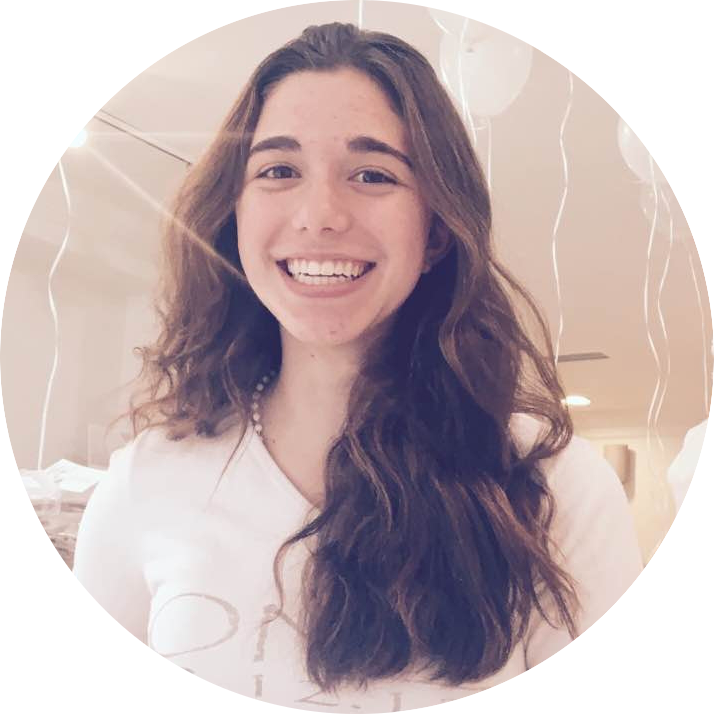 The SDGs were of course included in this conversation, with Sienna offering some thoughts on how the lives of the World Youth Day patron saints followed many principles of the SDGs long before they were adopted in 2015. A group of participants from Chile show off their finished car models! The SDSN Youth team is greatly indebted and thankful for the help of many individuals and organizations who made the workshop possible. This includes the World Youth Day organizers and volunteers, most especially Sophie Carbonell and Dario Ramirez, for including us in the Youth Festival and helping us with the logistics and planning; the Global Catholic Climate Movement for their support and encouragement, in particular Mariel Wall and Fabian Campos for their communication and assistance; Yachay Tech University for the funding provided to the volunteers; Fablab Yachay for their generous help in getting the workshop materials; the Guanchuro Foundation for providing financial assistance to our volunteers and our team in securing the workshop materials; the Pontifical Academy of Science, Monsignor Sanchez Sorondo, and Gabriella Marino for the invitation to “Laudato Si’, Three Years Later”; and Dr. Jorge Gomez-Paredes of Yachay Tech University for his advisement and mentorship throughout this whole process. And a final, giant thank you goes to our incredible volunteers, Maria Jose De La Torre, David Carchipulla, Daniela Guevara, Martin Velez, and Selena Jimenez, whose dedication and passion made the event both possible and successful.